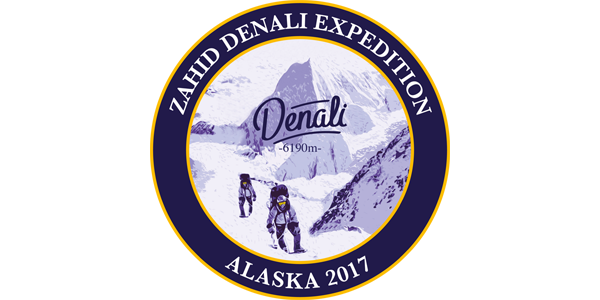 Our guide Jesse Wright called in from the basin camp at 11,200′ (3413 m) today with an update on the Zahid brothers’ team. It has been very cold of late and the snow conditions above Camp 2 range from firm to hard ice. The team carried up a long, moderately steep hill that rises immediately from camp, known as Motorcycle Hill. The slope was firm and wind-packed, which provided good crampon placements, but as they got higher and the route became steeper, the exceptionally hard, blue ice presented a different challenge. They decided to deposit their cache of gear a bit lower than they had planned, due to the hard conditions. The team has had a number of tough days in a row, with all the trail breaking they had to do en route to Camp 2, so they decided not to push too hard today.